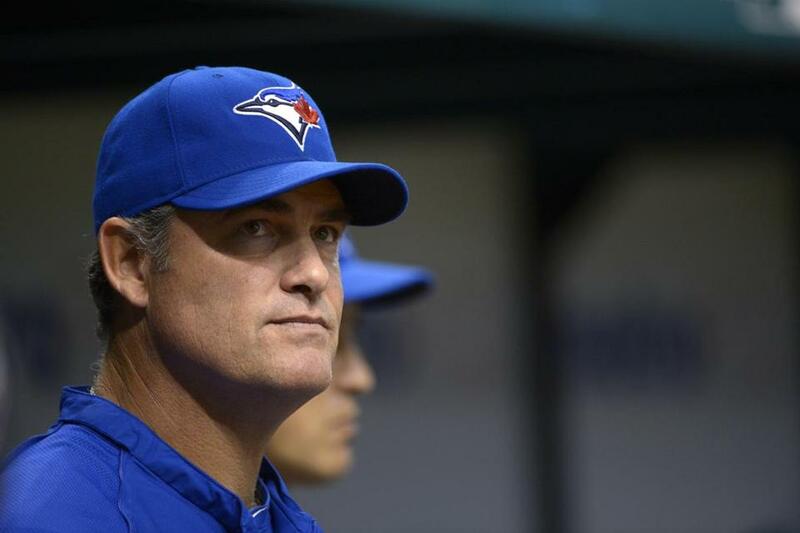 John Farrell, according to team sources, is the Red Sox’ No. 1 target. Thursday was cleansing breath/firing day. Friday may be pursue-the-next-candidate day. In a round-table discussion after the firing of Bobby Valentine Thursday, Red Sox general manager Ben Cherington said that he had not yet asked any team for permission to speak to a potential managerial candidate. 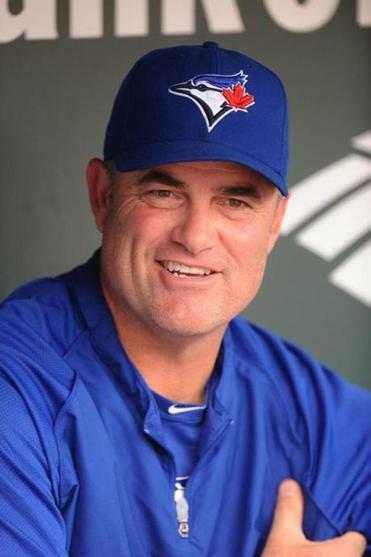 In other words, Cherington has not asked the Blue Jays for permission to speak to John Farrell, who, according to team sources, is the Red Sox’ No. 1 target. The question was not asked of Sox president/CEO Larry Lucchino, however, and that’s where the process could get started. With the Red Sox moving on from Bobby Valentine, the team will now be looking for its third manager in three seasons. Examine some of the candidates. Lucchino and Toronto CEO Paul Beeston are dear friends, and there is always the possibility the two decide that Farrell could be had for compensation. Last year at this time, the Jays were fixed on Clay Buchholz, but they had another bad season, and the bloom is off the rose on Farrell, so why not let him go for just a decent player in return? At least that’s what the Red Sox hope. Farrell is Boston’s No. 1 target. Nobody would dispute that. But the Sox don’t want to spend too much time trying to hash out compensation, because they don’t want the search process to get into December as it did last time, handicapping both Valentine and the team. One thing Lucchino mentioned Thursday is that his eyes had been opened to the fact you don’t need an experienced manager to run the show. He referenced the success of Robin Ventura with the White Sox and Mike Matheny with the Cardinals. So inexperienced prospects — say, Jason Varitek or Brad Ausmus — could be in play. Cherington indicated that he didn’t believe Varitek wanted that type of role so soon after retirement, but he didn’t rule him out, either. Cherington did say that Varitek, who is now an assistant to the GM, would be involved in the search process. “Right now, that’s not what he’s focused on,” said Cherington. “He’s joined the organization as a special assistant. He’s going to get his feet wet in a lot of different areas. So are the Sox looking for the anti-Valentine after they searched for the anti-Francona? Cherington obviously didn’t make the call last season. He and Valentine never clicked. The GM and manager must be on the same page. This time Cherington will be in lockstep with whomever he chooses. He said there will likely be new names added to the list since last offseason. “The team is at a different point than it was last year,” he said. “The results were the results. “We can’t restrict ourselves to a certain type of candidate or a certain background or résumé. We’ve got to be open-minded about who the right fit is because this is an important hire. We do need to start to create some stability. Will it be a tougher sell to get a prime managerial candidate since the roster is a little barren? “Good question,” Cherington said. “I don’t think so, but we’ll see. “There’s such opportunity here. We know how great this place is when things go well. One issue that has come up recently is whether Boston is ready for a minority manager. So where will the Red Sox turn if Farrell isn’t available? An interesting name that was given to me Monday was Joe Torre. He currently works for commissioner Bud Selig, but the former Yankee skipper might be interested in a managing job again, according to a major league source. Would he be too big, too strong of a name? Some of last season’s candidates — Gene Lamont, Sandy Alomar Jr., Pete Mackanin, Torey Lovullo — could be in play again. Newbies such as Varitek, Ausmus, and Dodgers third base coach Tim Wallach could also be possible. Would the Sox consider Orioles third base coach DeMarlo Hale? How about former Sox bench coach Brad Mills, who may go with Terry Francona to Cleveland? The question is, does Cherington want a manager who speaks the language of the Red Sox baseball ops department — i.e. an analytical-type language? Ausmus would fit that mode. Farrell is also a strong orator. When Cherington was asked whether it was important that the next manager have a pitching background, he said he expected the manager to oversee the staff, but that the primary responsibility lies with the pitching coach. Cherington said he preferred the manager to hire the pitching coach, even if there was a pitching guru out there who could be hired before the manager. Orioles director of pitching Rick Peterson, who once coached Farrell, comes to mind. Cherington wants to make sure he gets this right. He wants to have continuity. He obviously feels Farrell is that guy. As we’ve pointed out before, there are no game-changers among the candidates. A Torre or a Tony La Russa or a Jim Leyland would be that type, were they available, but it appears the Red Sox are probably going to go younger. The process should begin in earnest on Friday. The Sox hope it begins and ends with Farrell.